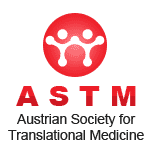 The European Society for Translational Medicine (EUSTM) cordially invites you to attend the 6th Annual Congress of the European Society for Translational Medicine (EUSTM-2019) from 18 to 20 October 2019 in Vienna, Austria. EUSTM-2019 unites world leaders and experts from industry, academia, research institutions, service providers, SMEs, regulatory agencies and policy makers to discuss translational approaches and tools designed to accelerate research and develop novel diagnostics and therapeutics thereby reducing high cost budgets and attrition rates. Moreover, EUSTM Expert Panels will discuss and showcase latest developments in specific areas of disease modeling, biomarkers, orphan/rare diseases, clinical epidemiology, novel diagnostics and public health. Unique exclusively to this congress will be our consensus building discussions on standardization of Preventive Medicine definition and elaboration of significance of Preventive Medicine tools and approaches including vaccines, clinical epidemiology, health promotion and others. 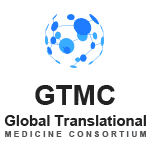 EUSTM provides the key to future success in translational medicine by offering an interdisciplinary forum to address current challenges and highlight novel solutions. The conference represents a unique opportunity for global networking with key opinion leaders and service providers. 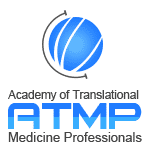 Participants will also include practicing physicians with clinical experience in various therapeutic areas and members of patient organizations. Pharma and biotech industries, medtech and medical instruments companies, consultancy firms, clinical research organizations and data management companies will showcase and exhibit their products and services. We hope you will find time to sample many of the unique features within the city of Vienna as you greet old friends, make new connections and develop a network that will last a life time.